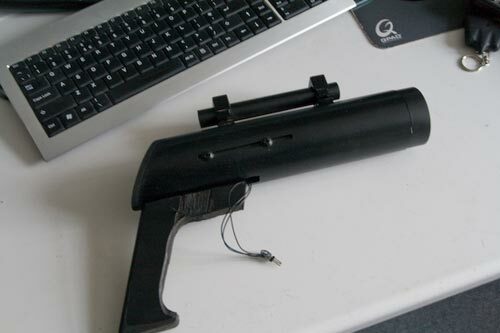 Check out this homemade TV-b-gone gun from modder Ferry over at Hacked Gadgets Forum. I took 30 IR leds and wired them up, a SMD FET switches them on and off and is wired up with a pinheader connector to the tv-b-gone. 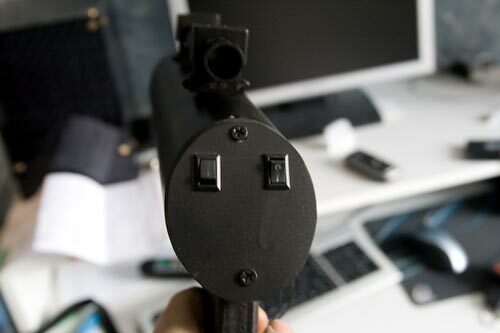 Internally the FET is connected to the output pin of the controller, which is also connected to the transistror driving the normal IR led. Head on over to Hacked Gadgets Forum for full details of how it was made.